1. Look at your boundaries - do they need replacing? Or could they be brightened up with a lick of paint or wood preservative? You'll be surprised at what a difference dealing with the boundaries can make. Go for neutral colours, either something natural or a conservative shade of green. Try not to be tempted by the range of bright and funky colours available on today's market, as they might not be everyone's cup of tea. Don't forget to treat your shed as well - simple co-ordination can be very effective. If the fences are in a bad state of repair, consider bamboo or willow screening as a cheap alternative to replacement, especially if the fence posts are still structurally sound. Screens are quick and easy to erect using garden ties or plastic-coated wire, and will mask tired and shabby fences better than paint or preservative. 2. Spend some time tidying the garden - pick up dead leaves, cut and feed the lawn, and re-sow any bare patches. Prune untidy shrubs and remove diseased branches from trees. You wouldn't let someone view the interior of your property without first vacuuming and dusting, so apply the same rules to your garden. Buy a few bedding plants, or if you have time to plan ahead sow some annuals to brighten up the beds and fill in any gaps in your borders. Similarly if you are able to plan ahead you can use bulbs as a cheap and effective way to brighten up your garden - many bulbs will flower right the way through spring, which is the most popular buying and selling period. 3. Use a pressure washer to clean stained and dirty patios/paved areas - pressure washers are cheap to buy (even cheaper to hire) and simple to use. Alternatively, consider covering hard surfaces with pea shingle as a quick fix. If you have a slightly larger budget for your rejuvenation, you could consider repaving with cheap, neutral slabs to provide that much needed lift to the space. 4. 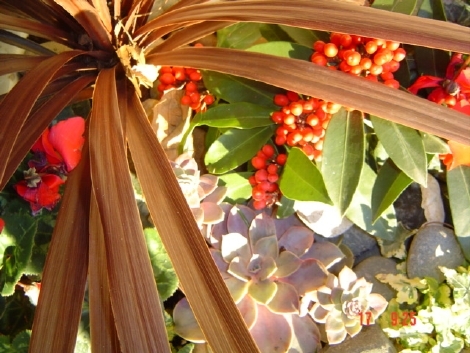 First impressions count, so don't forget to give the front garden the same attention as the rear. Consider adding window boxes or planters, mend the gate, paint the front door and window frames, remove any rubbish that may have blown in from the street, and if there is a front lawn, make sure it is mown. 5. Strategically placed pots and planters can make a huge difference and really brighten up the space, particularly at this time of year when there might not be a lot of colour in the garden. The added advantage of these is that you can take them with you when you move. Try two large 'feature' pots rather than lots of little pots or baskets. 6. Clean up all animal mess. 7. Remove children's and animal's toys. 8. Consider your garden furniture - spruce up your existing set with soapy water and a stiff brush (or for wooden furniture, a stain to match the fences) or alternatively buy new furniture that you can take with you when you move. 9. Mulching with bark chips is a quick solution to dry and unsightly soil and will give your garden a really professional appearance. 10. If the weather is nice when a prospective buyer comes to view the property, leave the back door open to encourage the buyer to venture out. This strategy will also make the garden feel more a part of the house. If it is cold and wet make sure that your 'garden frame' (i.e. your window) is nicely presented. Clean curtains and window panes and limit the number of ornaments on the sill, as this will make the garden appear much more attractive when viewed from within. Make sure the view from the window is the best it can be - hide bins and place pots strategically to draw the eye away from any unsightly areas. As with the interior of the property, the key to any garden renovation as a selling tool is neutrality. When planning a change, try to leave your personality at the back door. Avoid loud colours, unusual materials, and kitsch or ostentatious ornamentation, as this could well scare a potential buyer away. Most buyers would want to imprint their own personality on the newly acquired space - anything that distracts them from visualising the garden with them in it is a negative in selling terms. The Garden & Landscape Directory would like to thank Earth Designs Ltd for providing these articles. 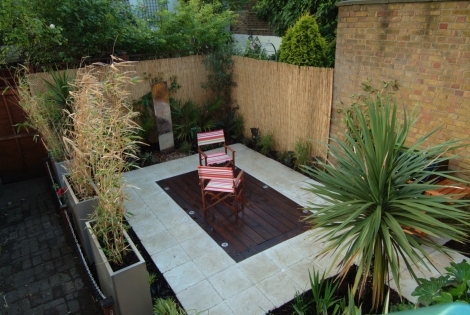 Earth Designs is a bespoke garden design and build company operating in London and the south east. 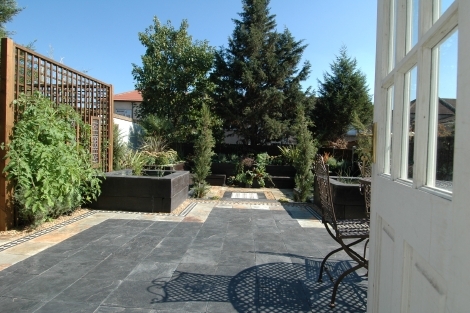 They offer a 'concept-to-creation' service to their clients, catering to a variety of garden needs. For further information go to www.earthdesigns.co.uk, or e-mail info@earthdesigns.co.uk. All text and images in the articles are copyright of Earth Designs.